A few days ago, I had the opportunity to meet Harold Kipchumba for a newspaper feature article I was working on. 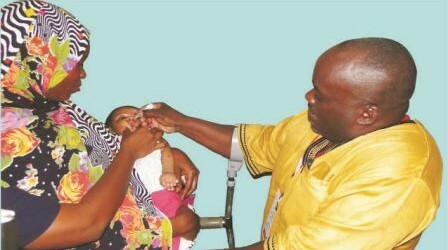 Kipchumba is the man you see in the polio campaign messages by the Ministry of Health saying that if only his mother had known about the importance of the polio vaccine, then she would have ensured that he was fully vaccinated when he was a little boy. This, he believes, would have ensured that he didn’t get polio. While talking to Kipchumba, he revealed that he’d always dreamed of serving in the military –specifically in the KDF. He even turned up for the recruitment exercise in 1986, but was promptly turned away because of his disability. He says that were it not for polio, then his dreams to be a soldier would have come to be. This is his story, which I originally published in The Star. **Growing up as a young boy in the small village of Kaptiony in Baringo County, 52-year-old Harold Kipchumba vividly remembers some of his childhood escapades. This however changed one day when at four years old; Kipchumba began feeling unwell. “I felt pain in my body, I felt tired and I felt weak. Unable to get out and play with my friends, I remained indoors with my mother,” he remembers. But his mother thought he was just being lazy. Within a week, Kipchumba found himself completely unable to move his body from the waist down, especially his legs. It was only then that his parents took the matter seriously. “They thought someone had poisoned me and pestered me about whose home I had visited and what I had eaten there. They asked who I had met along the way, and if the person had looked at me with bad eyes — thinking that a jealous neighbour had bewitched me. They also asked if I had eaten any wild fruits that may have been poisonous, or if I had touched any wild leaves that could have caused an allergic reaction on my legs,” he recalls. His parents then sought the expertise of local herbalists to help cure their son. Finally, after two months and with his legs still immobile, Kipchumba’s parents decided to take him to hospital. And therein lay another challenge. The nearest health centre was 40 km away from Kaptiony village. With no public transport in the area, the family had to wait for days for a Good Samaritan to offer them transport. Eventually, Kipchumba and his parents reached the hospital. But there was no good news for them. Kipchumba’s mother did not take the news of her son’s paralysis well, and spent years seeking a cure for him. “She took me to countless traditional medicine men across the country — from Ukambani, to Kisii, to Kisumu. But none of them ever healed me. It was an exhausting experience for her, as she would get weary carrying me on her back as I was unable to walk or stand. I was big and heavy, but her determination is what kept her going,” he recalls. Back in the village, Kipchumba would admire his age mates who had already started school. “I was not in school because the interview for class one required one to touch their left ear with the right hand. I was short and plump with a big head and a very heavy upper body, so I repeatedly failed this test because I could not get my hand over my head. I watched all my age mates go to school while I stayed at home simply because I could not pass this interview,” he recalls. 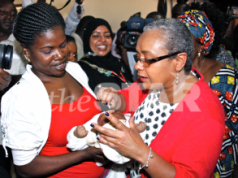 Frustrated, Kipchumba’s mother decided to return him to hospital. And then she did the unexpected. However, the young boy always remained hopeful that his mother would return for him someday. That notwithstanding, Kipchumba was a bright pupil, and scored well enough to earn him a spot in Lenana School, a national school in Nairobi. While there, the school helped trace his family. It had been more than 13 years since he had seen his mother. He remembers the reunion. “I cannot forget that moment. I was overjoyed. On seeing me, my mother shed tears, apologising profusely — saying she had never meant to leave me at the hospital, but had done so out of helplessness and frustration. Begging for my forgiveness, mother told me she had spent years regretting her decision to abandon me. I was too happy to see her and easily forgave her. I was also reunited with my siblings, including those who had been born after I had left,” he says. After competing secondary school, Kipchumba was admitted to Kenyatta College (now university) for a degree course, but turned it down for an offer at Kimmage Development Centre in Ireland where he pursued development studies. He however says that one of his greatest dreams while growing up was to be a military man. “When I showed up for the recruitment exercise in 1986 at the age of 24 years, the officers were shocked at my presence. They asked me why I was there, yet they had made it very clear that they wanted youths who were physically fit. Dejected, the young Kipchumba returned home. 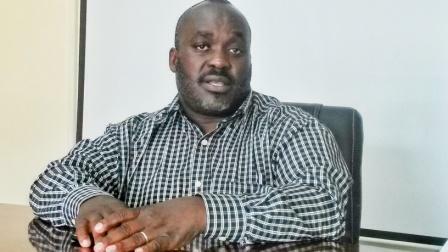 Kipchumba, who holds a Masters degree in Local Governance and Leadership, is today a development consultant. Married with three children, he finds time off his busy schedule to participate in polio campaigns. 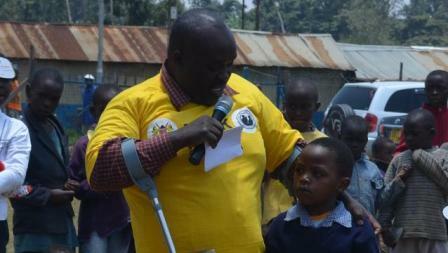 He works together with the Ministry of Health to champion the cause of polio across the country. Polio is an infectious disease that attacks the nervous system and can lead to paralysis, disability or even death. The polio virus enters the body through the mouth in water or food that has been contaminated with faecal material from an infected person. The disease mainly affects children under five years old who are not fully vaccinated. Children in Kenya are vaccinated against polio in routine immunisations through the Kenya Expanded Programme of Vaccination (Kepi). They are required to receive at least four doses of the oral polio vaccine in the first year of life. Polio symptoms include fever, fatigue, headache, vomiting, stiffness in the neck and pain in the limbs. For every 200 people infected with polio, one of them ends up with irreversible paralysis (usually in the legs). Among those paralysed, 5 – 10 per cent die when their breathing muscles become immobilised by the virus. While many countries across the world have managed to completely eradicate polio, others still continue to grapple with this preventable disease. Kenya is one of them, and has an interesting history to it. 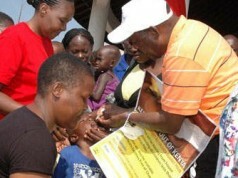 For 22 years from 1984 to 2006, Kenya was polio-free. However, this changed with the influx of foreign nationals into the country, mainly those from neighbouring countries. In 2006, two polio cases were reported in the country, which were importations from Somalia. In 2009, there were 19 detected cases of the virus in Turkana, which were importations from South Sudan. Another case was detected in Rongo, Nyanza province in 2011, and which was linked to the 2010 outbreak in Uganda — which was in turn linked to the 2009 outbreak in Kenya. As of December 2013, there were 14 confirmed cases in the country. In light of this, the Ministry of Heath has been working with partners such as Unicef, World Health Organisation, and polio ambassadors such as Kipchumba in conducting mass immunisation campaigns to ensure all children are vaccinated against polio. Polio has no cure, and can only be prevented through immunisation. 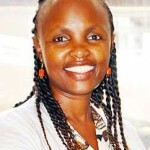 According to Dr Ian Njeru, the head of the Division of Disease Surveillance and Response, these campaigns will continue taking place until all children are reached. “All children in the country must be immunised, because for as long as there is a detected polio case, then all children across the country are at risk,” he says. The polio virus knows no borders and carriers frequently move from place to place. Meaning the virus can appear anywhere in the country. Despite heightened awareness campaigns, the ministry is still not achieving its target of having more than 90 per cent of children immunised. “Some of the barriers include religious sects that do not believe in vaccination or modern medicine. The poor infrastructure and dire security situation in some regions has also made it hard for us to reach all children,” he says. 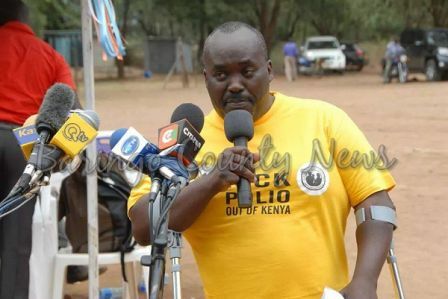 According to Dr Njeru, children who have received previous polio vaccines should still be immunised in every campaign. Are Those the Polio People Knocking on our Doors – AGAIN??? Don’t Miss the Last Round of Polio Vaccination for Your Child!